Preheat the oven to 350 degrees. 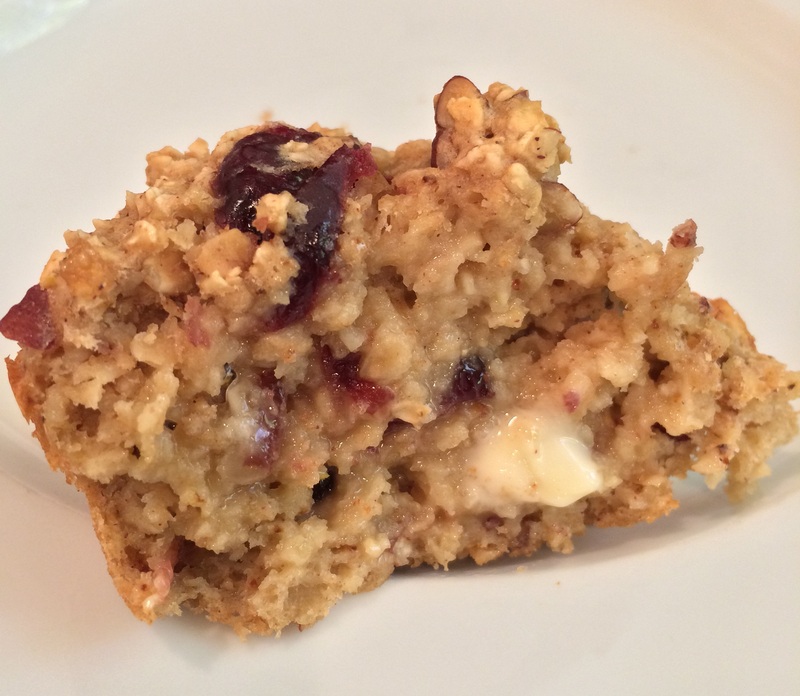 In a large bowl, mix quick oats, baking powder, salt, nutmeg, pecans and cranberries. In another bowl, mix together the applesauce, sugar, eggs, lemon zest, vanilla and milk. Combine the wet and dry ingredients and mix just until combined. 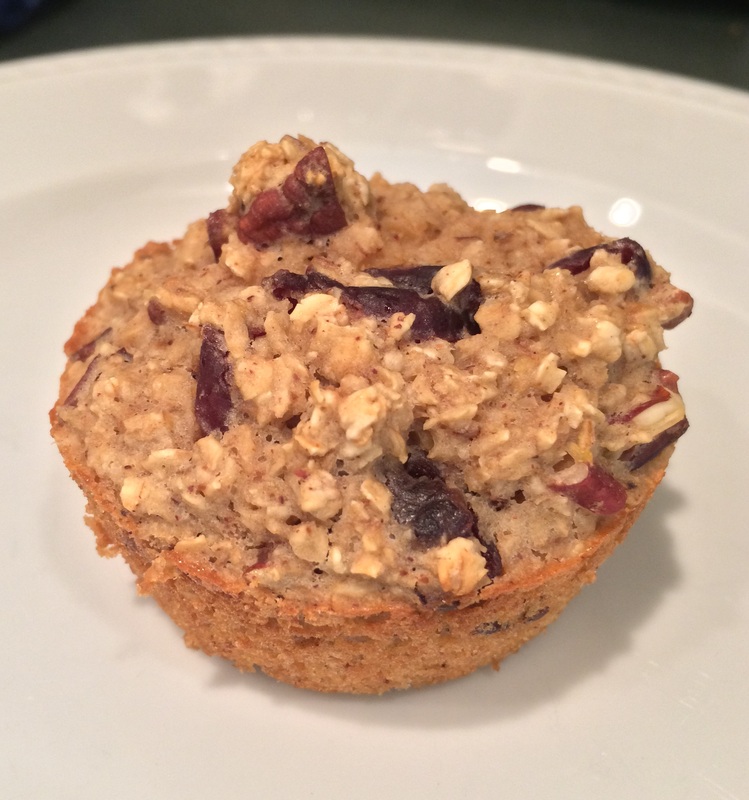 Pour batter into greased* muffin tins, filling each ¾ full. Bake 14-18 minutes. *I used coconut oil spray to grease the muffin pans. It works and tastes great. Halfway through baking, I sprayed a little more coconut oil on top of the muffins to help them brown as they were looking a little bit pasty. And as with most muffins, these are best enjoyed warm with butter!